Our flora is rich and diverse. In the recently-published Flora of our area nearly 1,700 vascular plant species and hybrids have been recorded growing spontaneously here over the last ten years. This is a larger number than is found in most rural counties. This is mainly because the urban landscape is so complex, each tiny habitat having its own special plants. The concrete jungle has its own specialists: tiny annual plants like Common Whitlowgrass flower in pavement cracks at the foot of walls in the early spring, set seed and die before the summer drought. The beautifully symmetrical Spleenwort ferns have their main habitat in the blue brick walls and bridges of our canals and railways. The Butterfly Bush grows, optimistically, in any crack and crevice and quickly makes a large shrub. Take a walk along many of the quieter roads in Birmingham and Black Country during the summer months and see colourful garden escapes such as Yellow Corydalis, Red Valerian and Trailing Bellflower clothing garden boundary walls and following garden paving cracks. In the gardenesque landscape cultivated plants take pride of place, but many, such as Early Crocus and Purple Toadflax make their first steps in becoming naturalised. Allotment gardens are refuges for cornfield weeds now rare in the countryside such as Annual Woundwort and Annual Mercury. Private gardens are still a relatively unexplored and very extensive proportion of the urban landscape. In the Ecological landscape humans coexist more gently with nature. At one extreme are the areas of “trapped” or “encapsulated” countryside. In the early spring you can walk up the wooded river valleys of south Birmingham almost into the city centre and still see the Wood Anemones of the ancient forest. At Saltwells in Dudley and Park Coppice in Wolverhampton there are sheets of our native Bluebells. Sutton Park is our own ancient Deer Park, and is celebrated not just in the conurbation but in the Midlands as a whole for its flora. With a guide you can see uncommon sedges galore, the rare Grass-of-Parnassus, three insect-devouring plants - Sundew, Butterwort and Bladderwort - and an extensive and precious remnant of dry and wet heath. Walsall abounds in fragments of such countryside and the Sandwell Valley is another precious relic. The other extreme in the urban ecological landscape is the unofficial countryside. Almost any patch of ground, when cleared of occupation, quickly bursts into a colourful flower meadow in which Oxford Ragwort, a range of Poppies, Yellow Toadflax and many others vie for the attention of pollinating insects. These sites usually only retain their diversity for a couple of years, but where the soil is poor or dry more permanent flowery landscapes may develop as on the quarried remnants of the Rowley Hills with their populations of the rare Tall Mouse-ear-hawkweed. Most importantly the Black Country still has a few fragments of the world's oldest industrial landscape of coal and steel, now noted for Marsh-orchids, Wormwood and Red Bartsia. In between these two extremes are the gently managed transportation corridors, and many species thrive in our road verges, including Danish Scurvy-grass and several other saltmarsh plants, thriving in the wake of our gritting lorries. The railways too are important reservoirs of plants. In summer notice the Spanish Broom, Canadian Goldenrod, Michaelmas Daisy and the Rosebay flowering bravely on the banks as you travel by train. The canals are our most ancient and precious corridors, and in July extensive stands of the beautiful Flowering Rush, Arrowhead and the statuesque Bulrush and Clubrush may be enjoyed and in quiet stretches, Yellow Water-lily and Fringed Water-lily spread across the water surface providing suitable habitats for nesting water birds. 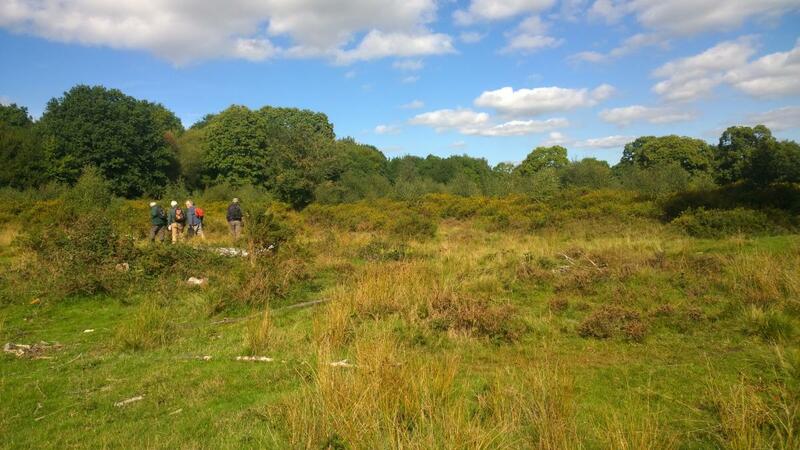 The Birmingham and Black Country Botanical Society run a regular program of field surveys - learn more here.